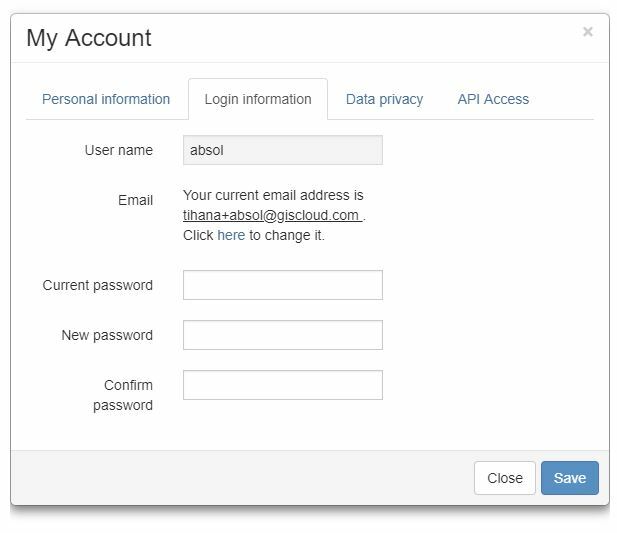 GIS Cloud users need to have a unique GIS Cloud account in order to use GIS Cloud apps. 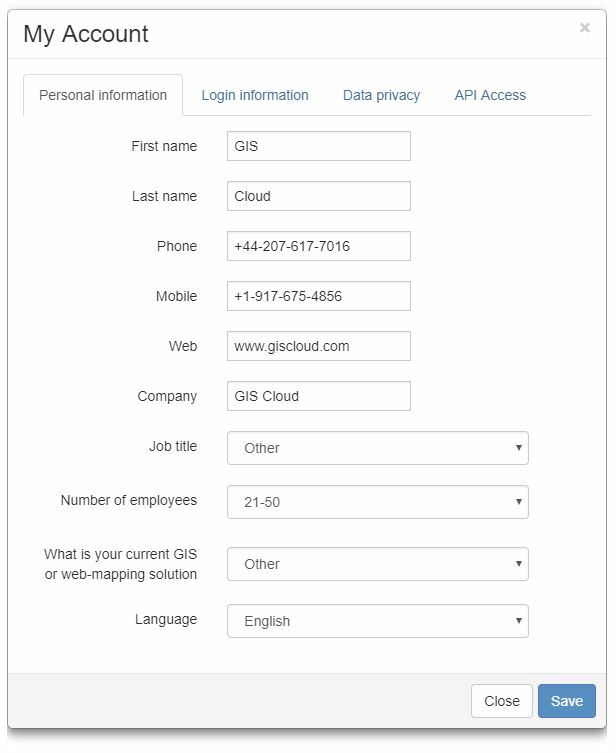 A new GIS Cloud account can be created through the sign up form. 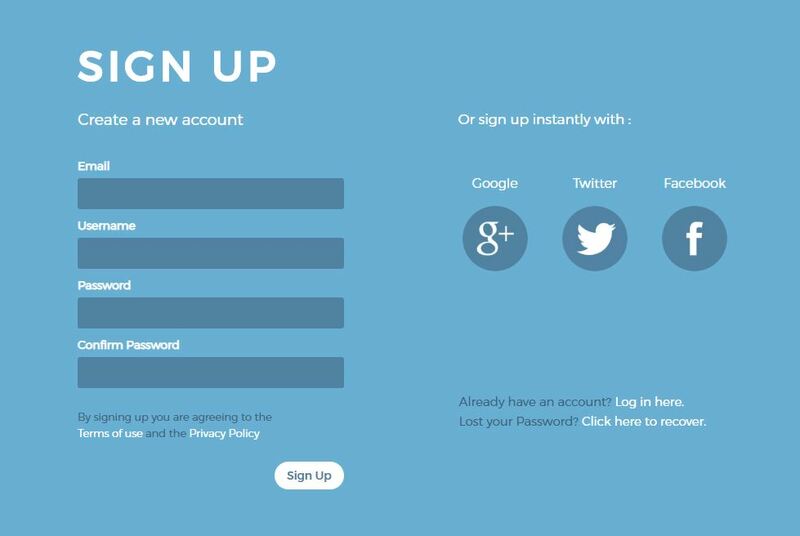 In the sign up form enter your valid email which will later be verified, your GIS Cloud username and password and click Sign up. GIS Cloud account can also be created through Google, Twitter and Facebook. My Account dialog in Map Viewer allows you to edit your personal information, login information and manage API keys. You can find “My account” in the right top corner of the screen. In the Personal Information tab, you can manage your name, company, web page, phone and set your language. In the Login tab, you can manage your password and change the email. 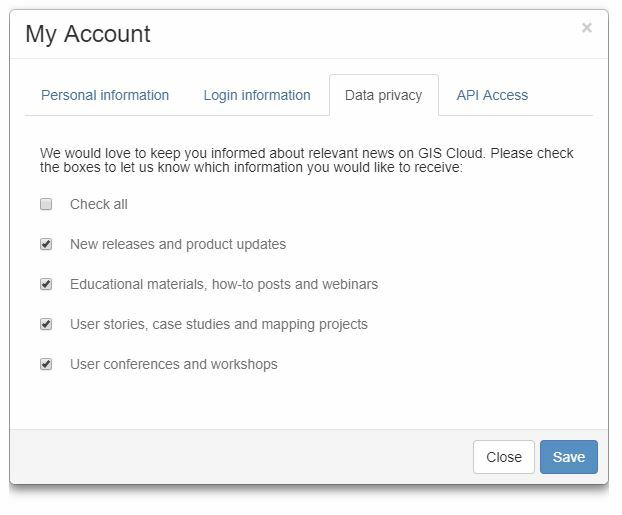 In the Data privacy tab, you can manage the news which you would like to receive from GIS Cloud. 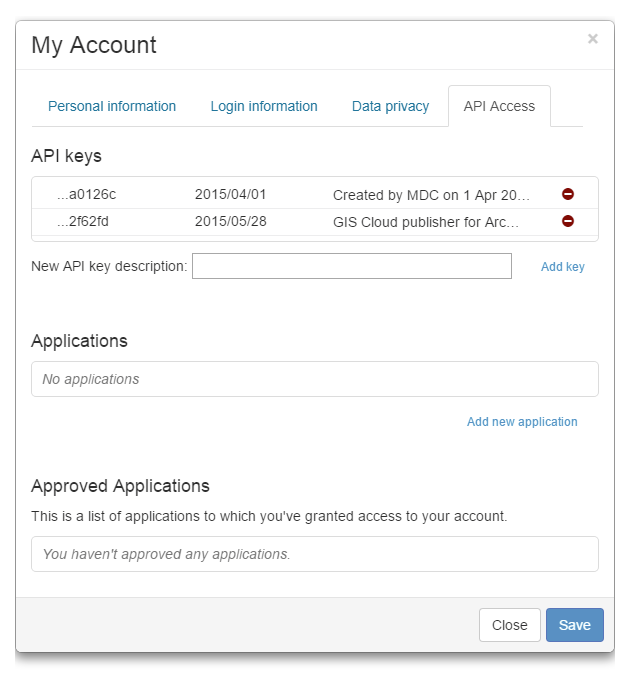 In the API Access tab, you can manage your API keys and applications. API keys are unique and generated for each user. 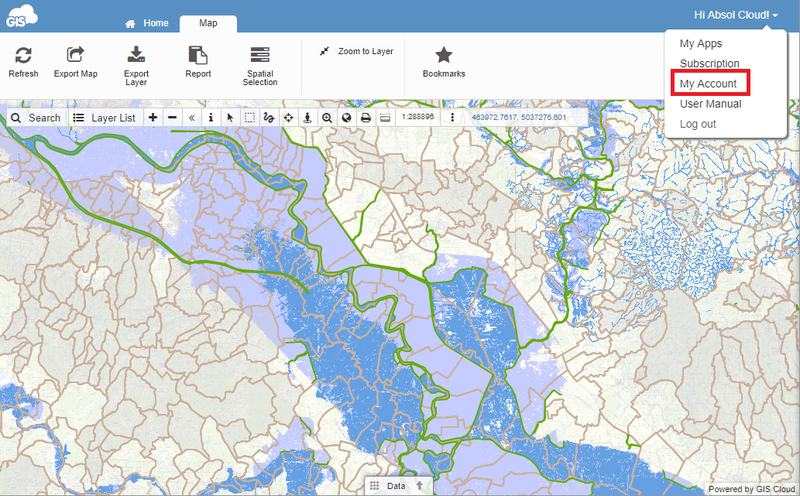 API keys are used as an identification for the user while logging into GIS Cloud apps. If you delete API key, you will be logged out, but a new one will be generated upon next login. API keys are usually automatically generated, but you can generate it by yourself if you need to set up a backup script.